The kitchen evolves, the cooking techniques are refined: Alpeninox presents a line of easy to use and high-tech blast chillers. Download HACCP data connecting a USB key. 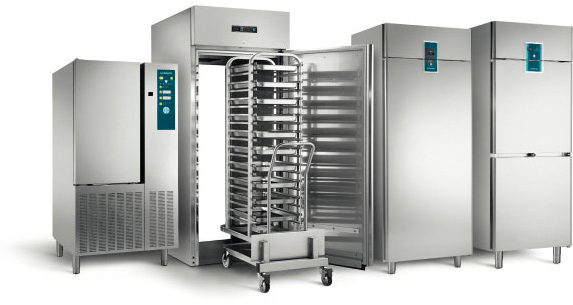 Glass door refrigerators with exterior in black painted steel or in stainless steel or with plain doors, guaranteeing cell temperatures: from 5° to 22°C. 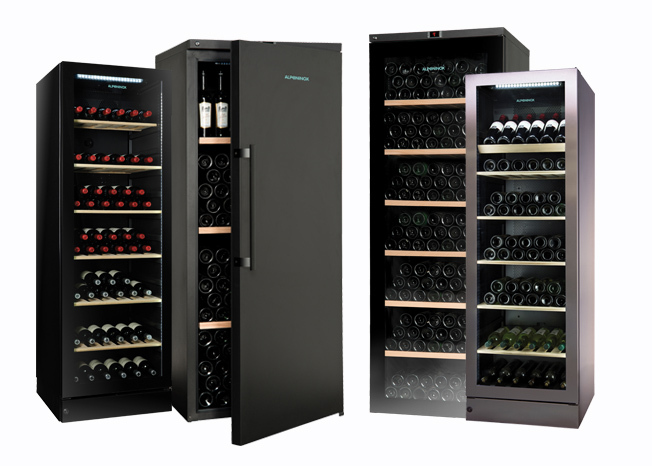 They can storage up to 170 bottles to 300 bottles (750ml – bordeaux bottle). To serve different varietals at their perfect individual drinking temperatures, the unit can be set as a single-zone refrigerator, setting top and bottom at 12°C (red and white wines) or as a multi-temp refrigerator. Ideal humidity level for corks and labels has been kept by humidity control and performance is guaranteed at ambient temperatures of +38°C. Crio Chill Power. Comfortable housing for grids or trays. Pastry Line. Depth 800 mm.